Air Botswana, the Botswana national flag carrier, took delivery of its first ATR 72-600 last Friday. 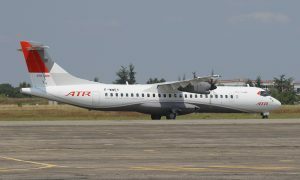 The aircraft, delivered in Toulouse, is the first of a contract signed in July for two ATR 72-600s. The second is planned for delivery before the end of the year. The ATR 72-600s will upgrade Air Botswana’s current fleet of three ATR 42-500s and one ATR 72-500s. The brand-new aircraft is configured with a 70-seat, dual class cabin and equipped with the latest avionics. 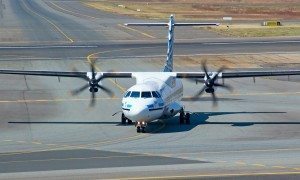 With these two ATR 72-600, the Botswana airline makes a clear forward-looking decision to benefit from a fleet with the most modern turboprops equipped with cutting-edge technology.